Those who visit the US often must be careful not to inadvertently become an American tax resident. Denis Mendonça, from Drummond Advisors, explains that the status implies obligations with the Internal Revenue Service (IRS). Mendonça notes that there are two ways to become an American tax resident. One is by getting the green card, which allows the holder to remain in the US with access to multiple rights. The other, which confuses many people, is the time of stay in American soil. “If the individual spends more than 183 days in the US, he becomes an American tax resident,” he says. But, he emphasizes, the calculation is not based on 183 consecutive days, which amount to roughly 6 months. “The rule takes into account the time spent in the US in the last three years. The calculation includes all the days of the current year, one-third of the previous year and one-sixth of the second year before,” he explains. This means that the idea of spending six months in the US and six months elsewhere is not a good one. Check out this practical example: Carla makes regular trips to the US. She stayed in the country for 80 days in 2017, 240 days in 2016 and 180 days in 2015. The equation must add up all 80 days in 2017, 80 days in 2016 (one third of 240) and 30 days in 2015 (one sixth of 180). The result will be 190, which is higher than 183—therefore, she is an American tax resident. Mendonça recalls the case of a client who had financial losses because he went to the US with intent to open a company, but he forgot to count the 183 days. “He had the business visa, the B-1, and spent 10 months in the US,” he says. 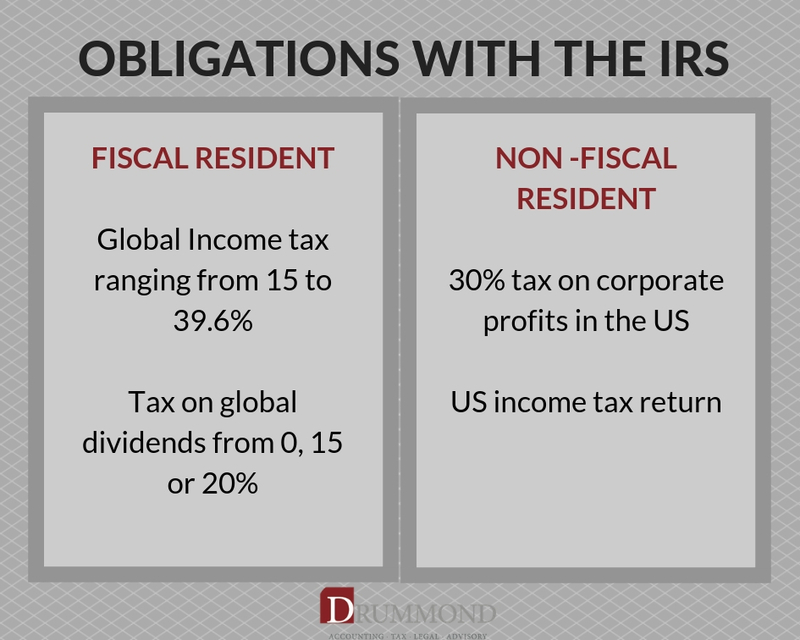 When he hired Drummond and was made aware of the risk, he discovered that he had become an American tax resident and had to pay a high tax amount to the IRS. 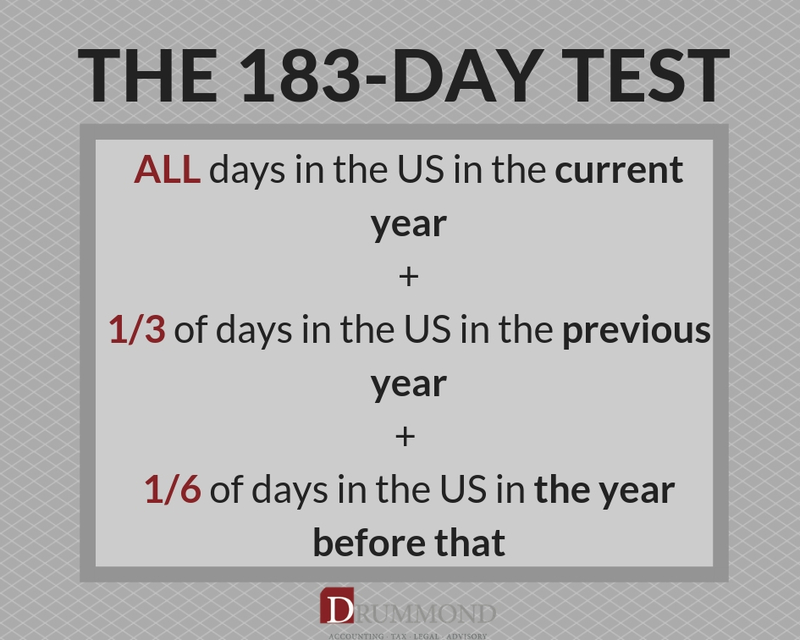 As in every rule, there is an exception: visas like F (study and work), J (trainee) and M (teacher) are exempt from the 183-day count. The US tax resident is a global tax payer. That means he will have to declare everything he owns, no matter where, to the US government. “Income received in Brazil, the US and any other country must be informed on Form 1040,” says Mendonça. He adds that the overall tax rate ranges from 15 to 39.6%, depending on the taxpayer’s income. “What about the income tax in Brazil?”, you may be wondering. According to the accountant, taxes paid in Brazil can be used as credit in the US. “If the rates of a certain tax levied in the two countries are not the same, it is necessary to pay the difference,” he adds. Mendonça recommends that the Brazilian individual interested in becoming an American tax resident and who intends to reside and work in the US delivers the Declaration of Definitive Exit (Declaração de Saída Definitiva) to the Brazilian Federal Revenue Service. This will prevent the individual from making the Annual Adjustment Statement. The American tax resident will also be subject to a tax that does not exist in Brazil: the tax on dividend distribution, that is, the transfer of profits of a company to its partners. The good news is that, in this case, the tax is less than that paid by non-US tax residents. “For tax residents, the dividend rate is 0, 15 or 20%. For nonresident taxpayers, corporate dividend tax is withheld at the rate of 30%,” he said. “Becoming an American tax resident should be a decision made after tax planning, not an accident caused by lack of information.” Mendonça emphasizes that obtaining this fiscal status is indicated for those who intend to work and live in the country. “If, for example, you want to open a company in the US and don’t intend to live here, you can hire someone to run the operation on American soil and use a business visa to take training courses, do some market research, and other permitted activities”, he concludes.